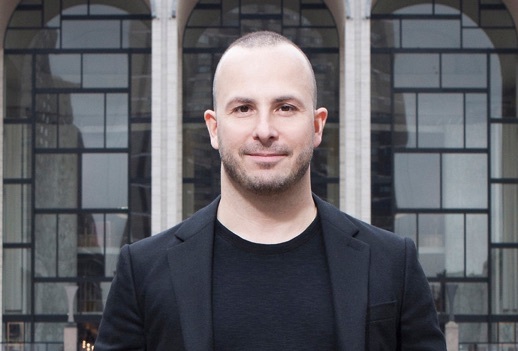 In 2012, Montreal-born Yannick Nézet-Séguin added the Music Directorship of The Philadelphia Orchestra to his roles as Music Director of the Rotterdam Philharmonic Orchestra and long-time Artistic Director and Principal Conductor of the Orchestre Métropolitain (Montreal), where he has served since 2000. He also became an Honorary Member of the Chamber Orchestra of Europe in 2016/17. 2017/18 will be his tenth and final season with the Rotterdam Philharmonic and will draw to a close with the orchestra’s centenary celebrations in Rotterdam and round Europe. In 2020/2021 he succeeds James Levine as the third Music Director of the Metropolitan Opera, New York and remains in post with The Philadelphia Orchestra until at least summer 2026. Yannick has worked with many leading European ensembles and enjoys close collaborations with the Berlin Philharmoniker, Wiener Philharmoniker, Bayerischer Rundfunk Sinfonieorchester and Chamber Orchestra of Europe; between 2008 and 2014 he was also Principal Guest Conductor of London Philharmonic Orchestra. He has appeared three times at the BBC Proms and at many European festivals, among them Edinburgh, Lucerne, Salzburg and Grafenegg. North American summer appearances include New York’s Mostly Mozart Festival, Lanaudiere, Vail and Saratoga.